Chrysolepis sempervirens (Kellogg) Hjelmq. Bush Chinquapin. Keckiella breviflora (Lindl.) Straw var. glabrisepala (D. D. Keck) N. H. Holmgren. Bush Beardtongue. Solanum xanti A. Gray. Chaparral Nightshade. A Checklist Flora of the Mono Lake Basin, Mono County, California and Mineral County, Nevada. 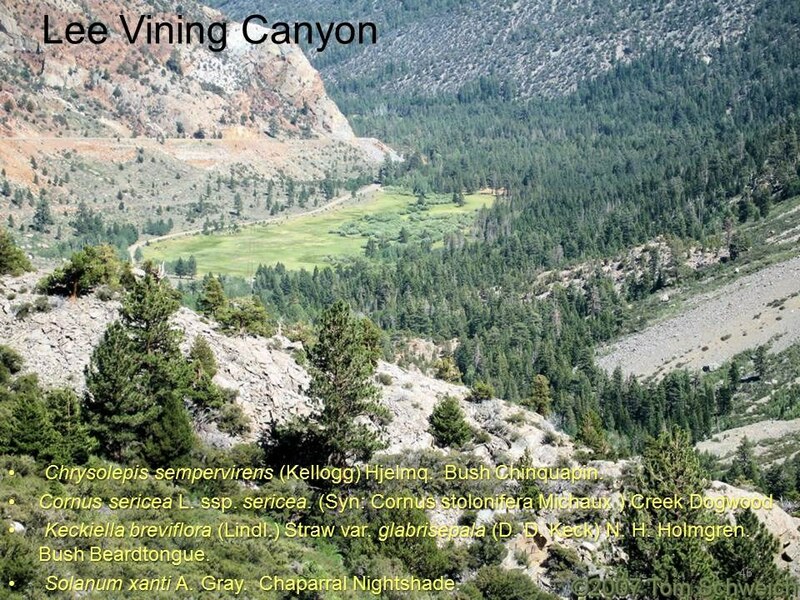 : Lee Vining Cyn. Other photos about Geography - Mono Lake Basin, California or Lee Vining Canyon.